Neighbouring countries: Korea (North), Russia, Mongolia, Kazakhstan, Kyrgyzstan, Tajikistan, Afghanistan, Pakistan, India, Nepal, Bhutan, Myanmar, Laos and Vietnam. Being the third largest country by area at 9,706,961 sq km (3,747,879 sq miles), China does not only offer a panoramic view of its full greeneries by visiting Great Wall of China located in Huairou, it also boasts its high-towering buildings with various finely executed architecture, giving you the chance to have a look at its cinematic view specially by night – one that can drop your jaw. However, if you’re planning to visit China and check some of your bucket lists there, don’t forget to count all the CCTV cameras you see everywhere! Great country feature if you’re thinking for your own safety – but this would mean less of your privacy. 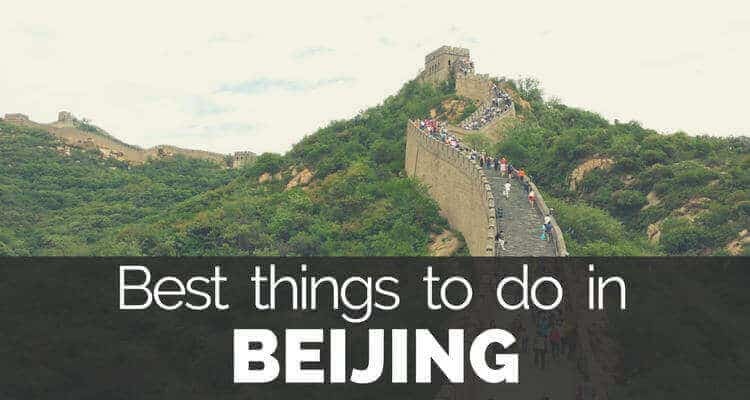 Find out the best things to do in China and experience its people, delicious Chinese food and its very rich culture!